The new 2018 Maserati Ghibli is a unique combination of style, performance, and comfort. 0-60 mph in 4.9 seconds and 178 mph top speed. Stop by and drive one today! 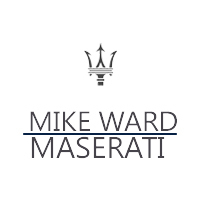 Welcome to Mike Ward Maserati of Denver, Colorado. We’re the #1 Maserati dealership in the state of Colorado, offering drivers in Denver, Boulder, Aurora, Colorado Springs, Parker, Golden, and the rest of Colorado an exemplary selection of Italian luxury performance cars. At our dealership, you’ll find Maserati vehicles like the Maserati Ghibli, GranTurismo, GranTurisomo Convertible, Levante, and Quattroporte. Take a tour of our new Maserati inventory online. We are proud to offer the entire line of new 2018 Maserati cars and SUVs for sale or for lease in the Denver, Colorado market! If you are looking to test drive a new or pre-owned Maserati, stop by Mike Ward Maserati today! When you’re ready to buy a Maserati, we want to help you get behind the wheel and out on the road as soon as possible. Our sales team will help guide you to the exact model you’re looking for, and our finance department can expedite the process for you by helping you find the most competitive financing as quickly as possible. Our Maserati Service Department is one of the finest in the entire country. Our certified Maserati service technicians will take care of your vehicle as if it were their own. Out on the road, you want to know that there’s an experienced team of certified technicians at your back should you have any issues at all with your Maserati. At Mike Ward Maserati of Denver, our Maserati service department equips our professional technicians with state-of-the-art maintenance and repair equipment and advanced diagnostics to ensure that our clients’ vehicles run in optimal condition for as long as possible. Count on us for all your Italian luxury and performance automotive needs at 1850 Lucent Court in Highlands Ranch, CO. We’re open Monday through Saturday, and you can contact us online or call us at .